It may not be wise to make a trek down to Whoville if you're wearing this The Grinch Ugly Xmas Sweatshirt. 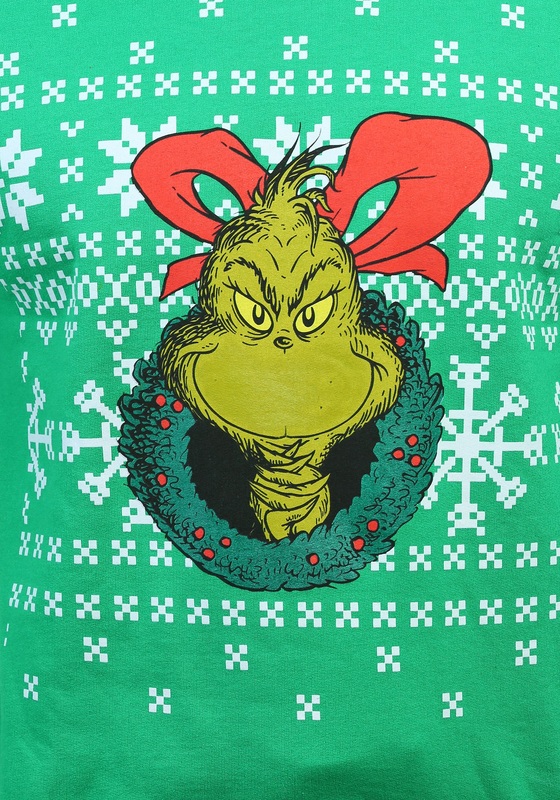 Who knows what the Who's may do if they see you wearing a shirt featuring the one and only, Grinch. Usually, the furry green Christmas hater resides on the top of Who Mountain, despising the Who's with his dog, Max, so the jolly residents of Whoville rarely see him. We are not quite sure what they'll do when they catch sight of you in their town wearing a Grinch sweatshirt, but we have a feeling they won't be cutting you a large slice of roast beast. 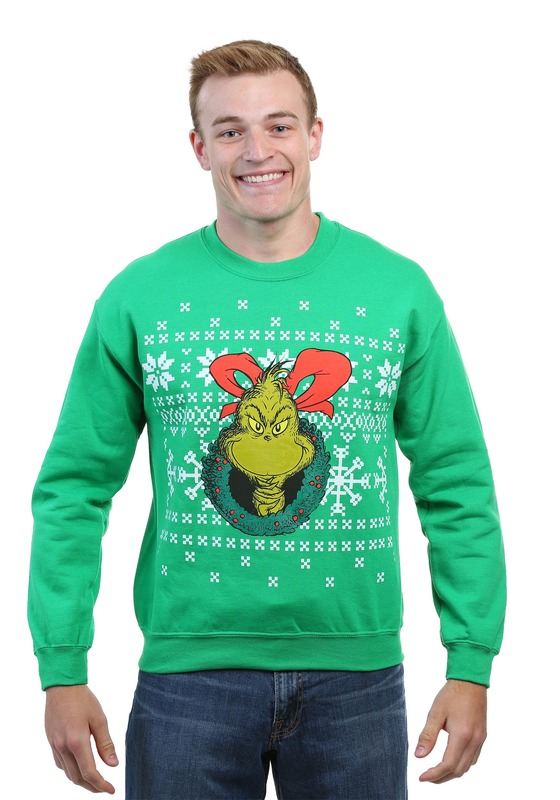 That being said, we recommend wearing this Grinchin' Sweatshirt to your family Christmas, not the Whoville Jubilation! Your family will be a lot more receptive to this sweatshirt than all the Who's, for obvious reasons. This comfortable and warm sweatshirt, featuring the Grinch inside of a wreath, is perfect to wear while caroling or opening presents. Just remember, don't act like a total Grinch while you're wearing it!